It was nearing the summer of my first full year in Israel, circa 1998. The clock was busy ticking down the last days of my dreamy stay. I didn’t have a game-plan or a day-job or a grubby shekel to my name. All I had was one big combustible ache in my heart to STAY in Israel– somehow, someway. I remember the moment – like I was stepping into a fantasy movie. I was walking down Emek Refaim (literally named the Street of the Valley of Ghosts! #onlyinJerusalem). And I was feeling ghostly indeed; desperate, planless, ungrounded, unhinged. And so, there on the corner, caught at a red light, I took a moment to close my eyes and go inside. Dove right into that proverbial rock-bottom where a prayer apparently hid. This prayer was like a deep-planted root, a carrot, a rutabaga, a soul-food. I set my sights on it and yanked it up strong, right there at the crowded intersection. Teary and terse, in a flash, just before the light changed: “Please most compassionate G!d, let me stay in Israel! Just let me stay!” I imagined the face of the Lubavitcher Rebbe and asked for his intervention too. A few hot tears streaked down my cheek like shooting stars. I blinked my eyes open as the light turned green. As I started across the street…my gaze turned up towards the sky. To my utter awe, towering above my head, was a cloud formation the likes of which I will never forget. 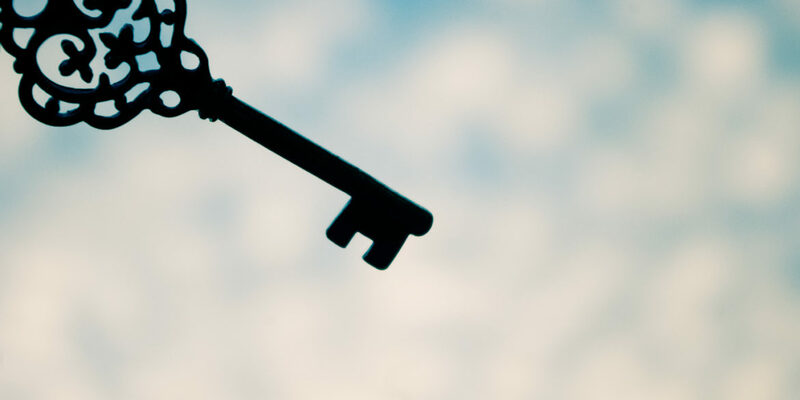 It was in the shape of a key – the size of a football field – floating through the air and colliding straight into another cloud – this one shaped like a lock. I kid you not. If I hadn’t been there myself I would not have believed it. And, just in case you’re wondering, I was not on drugs. Wait, someone paying me money…to write poetry…in Israel…And precisely now, just as my money had run out on me and left me nothing but G!d and prayer and poesy and clouds?! I was sipping miracle-laced tea. And stay I did, another blessed year in Israel, composing poetry, and the rest is history. This, my friends, is the shiny side of being penniless. Because sometimes being broke is the best path to breaking-through to the true riches: The presence of G!d in our pettiest of lives. The human capacity for pulling up prayer. The divine capacity for pouring down miracles, all over the unsuspecting streets. Forget the 16K. I had won the lottery, the deepest pinnings of my heart, the Land of my Soul, the spark to a divine love-bomb ready to explode my life into something so much bigger than any paycheck could provide! All the sudden, I could afford faith, which had always seemed way too expensive for my humble means. All the sudden, I knew that money was divine currency. It is here to but hold us accountable to a higher order; to weightier things than mere materiality. Money is human’s best opportunity to crown the King…to bring God all the way down into physicality. Unfortunately, I don’t often behave in accordance with this truth about money that I learned that afternoon. So often I am stingy with the very thing I have been given in order to release. So in honor of regrounding in the miraculous order of things, and in honor of the holy act of those angelic friends who supported my dreams two decades ago, I want to pay it forward. It’s almost Purim, a day that all too often gets lost in the wild wonder of costumes and carnival. But a core pillar of the day is also of course that forgotten third sister – matanot l’evyonim – gifts for the poor. And the truth is, we are all poor in one area or another. So I have this vision of creating a Miracle Gemach. That is to say, if you need a miracle, you write it in and we will try our very best to help you manifest it. But here’s the catch. If you request something, you also have to offer something. Like a barter system. This gemach is focused on the goal of opening of channels, which happens through the free-flowing reciprocity of both giving and receiving. Just the way the Torah reading of Teruma/Offerings always rubs up against Purim. This is the time of year we are called to offer up the half-shekel, the donations to the Temple, the gifts to the poor. We are headed towards Nissan – the month of full on miracles, so it makes sense that we precede that epic receiving with some epic giving. For when we open the window to give, we open the window to receive. and write in your miracle request…as well as your very best offering. Requests: Describe your desired miraculous state and we will do our best to find a partner who can help you meet it. Givers, this is a marvelous chance to get in touch with your gifts. Let us know what kind of miracles you are most called to partner in. Maybe it’s for healing, for helping children, for funding education, or for manifesting creative dreams. Maybe you are particularly gifted with hosting Shabbas – so offer to host 2 – or 20 – Shabbas guests. Maybe you are gifted with art – offer an art class to a family in need. Get in touch with your gifts – and then give. Open windows best receive! And finally, whether you partake in the Gemach or not….at the very least, just take this opportunity to stop a moment and invite some miraculous into your life. Go ahead and close your eyes and imagine that you are digging into your soul pockets…right down to that deepest prayer for what you most earnestly need. Dig in til you find it. I assure you it’s there. 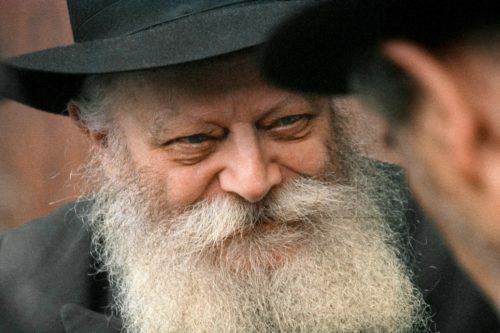 I recommend imagining the face of your favorite tzadik – the Lubavitcher Rebbe (below) always works wonders for me. Ask for his/her assistance. Now squeeze that prayer clean through. Right now, as quick as it takes for a street light to change. And then also ask yourself, from that place, what riches do you have to offer others? Imagine that as you hit that deepest place of prayer you also find there your own offering. Pull that gemstone up with you from your rock-bottom pit. Let’s partner with the clouds and bring something wonderful down!